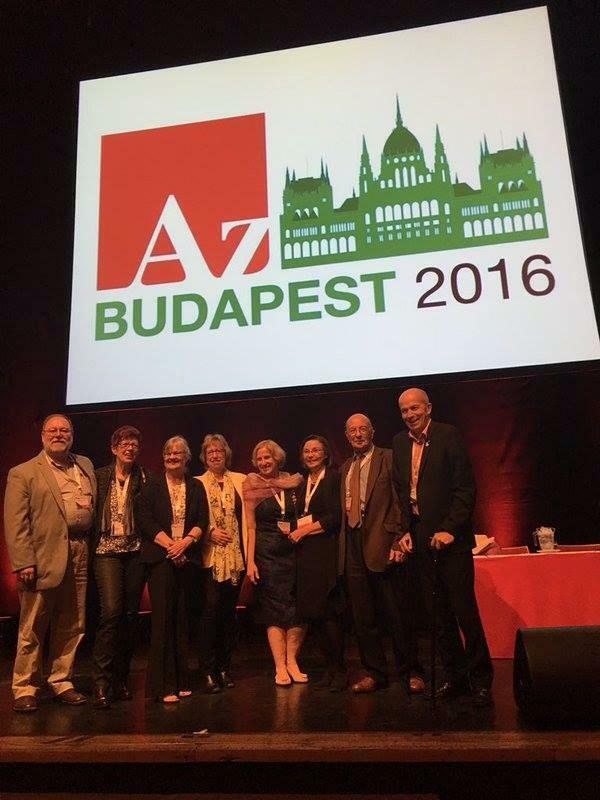 This year, a number of DAI members have had the great privilege and honour to attend the Alzheimer’s Disease International 2016 Conference held the last few days in Budapest. As Chair, CEO and co-founder, as well as now an official ADI Board member, it has been a very busy week, and none has had time to write a blog about it. I’m hoping our pictures on Facebook have helped you feel vaguely connected. Most have been added to individual members pages, as I forgot to add many to our own Facebook page! On the day before the conference, history was made for the second time. The first time we made history was when I was invited to Geneva to present at the WHO First Ministerial Conference on Dementia, and placed Human Rights and Disability Rights on the global agenda last year in March, demanding access to the United Nations Conventions of the Rights of Persons with Disabilities. This started a global campaign, and with the help and expertise of DAI member Professor Peter Mittler, a report was written by Neil Crowther, on behalf of DAI and ADI. 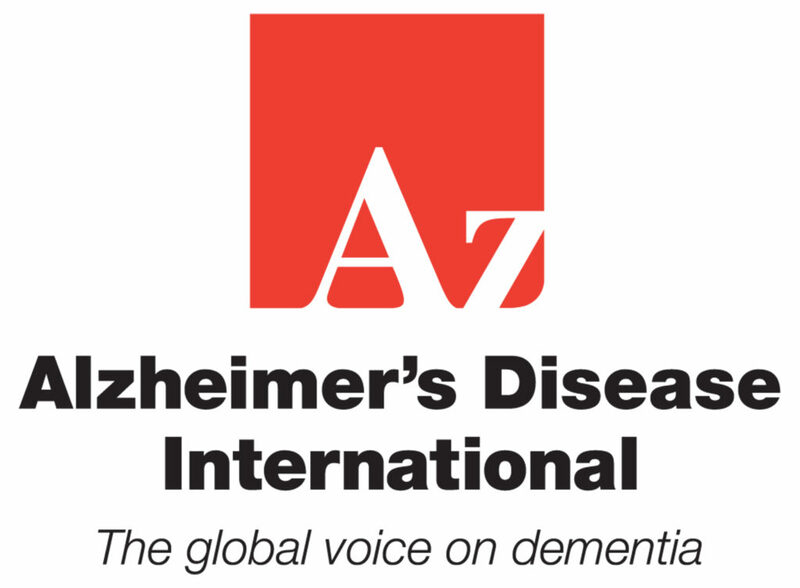 It was submitted to the ADI Council members (the country Alzheimer’s Associations/Societies) on Wednesday, and it was unanimously accepted, and agreed that the campaign for the human rights of people with dementia will be continued, hence o ur second historical moment. DAI co-founder and current Treasurer, John Sandblom represented us well by giving the Inaugural Richard Taylor Memorial Lecture, which of course, brought may of us to tears. It is though, wonderful to know that Richard’s legacy will live on, and we will also have the first Richard Taylor Advocates Award, to be announced on World Alzheimer’s Day in September of this year. Information regarding this will be sent to our members and supporters very soon. As soon as I get home to Adelaide, I will make every effort to write a review of the conference, but for now, I have added a photo collage of photographs below. Those of us who attended, worked very hard to ensure we represented as many voices as humanly possible, and worked very hard trying to do so. As the photographs will show you, we also had a lot of fun! Co-founder and current Treasurer of Dementia Alliance International, and past co-chair (2014), John Sandblom presented on behalf of our membership at ADI2015 in Perth recently. The presentation presented by John Sandblom titled Finding Our Voice was accepted for oral presentation was written by John, and co-chairs Janet Pitts and Kate Swaffer, was well received, and very timely. 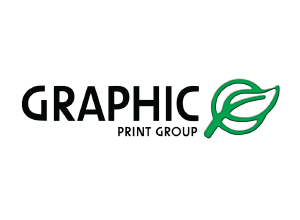 John has given us permission to add the slides and notes from his speech, although unfortunately, no-one managed to record it, so we cannot upload a video of it. Thanks John, you did an excellent professional job or representing our members and organisation. 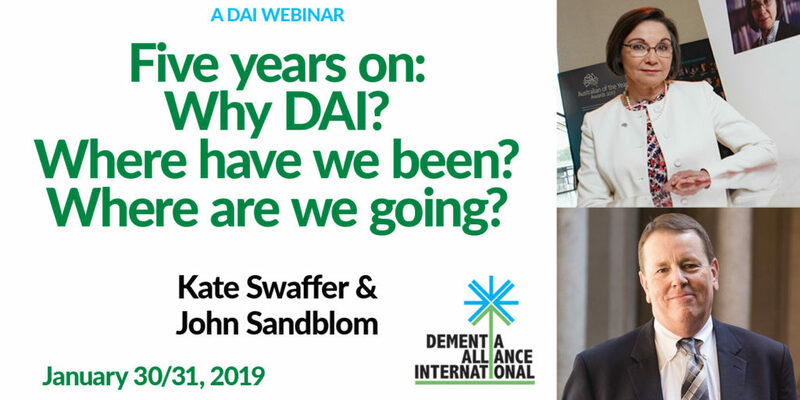 This presentation will review the first year of a global advocacy and support group, of, by and for people with dementia called Dementia Alliance International. Our vision, “A world where a person with dementia continues to be fully valued” is being realised, as more people with dementia connect around the world, and speak up for their basic human rights. We speak up for full inclusion and a place at the international dementia table; as people with dementia we believe that without full inclusion at the conversations about the very things that affect our lives and futures is imperative. The stigma, discrimination, prejudice, myths of dementia and isolation are simply being exacerbated, by the organisatons or researchers purporting to improve our lives or advocate for us, without us. We will discuss the technology being used to support our work, allowing us to progress rapidly as an organisation with no funding, and with representation from a number of countries. We will also review the Master Classes run during Dementia Awareness Month 2014, and the value of the sharing of the lived experience of dementia. Finally, we will discuss how collaboration has been the key to our success, as well as allowing us to support the work of other people with dementia in individual countries such as the Scottish, European, Australian, Irish and Japanese Dementia Working Groups, rather than work against each other or in isolation. In its first year, DAI has become the peak advocacy body, supported by ADI, of by and for people with dementia. 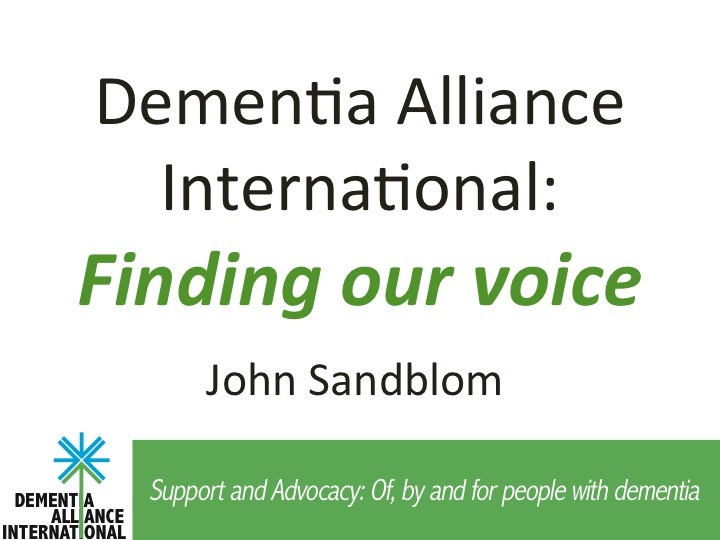 Notes: John’s personal introduction including diagnosis and current position with Dementia Alliance International and including his role as a founding member. Please note: The content of this presentation and our website represents our opinions (however well-informed they may or may not be) and should NOT to be considered medical advice, it is not medical advice. Medical advice should only be obtained during conversations with your own medical doctor. DAI started as a dream by many people with dementia, all of the founding members having varying versions of that dream, but it was driven by the desire for change, and the desire to increase awareness, education and most importantly, connecting with others people living with dementia all over the world. It is about people with dementia finding their voice, and being fully included. Through empowering members to work on projects, speak out, and get involved in support groups, we believe the value of improving the quality of life for people with dementia is tremendous, and often life altering. Even when people are no longer employed, they can still be meaningfully involved and contribute to society. People with dementia have an indescribable instant bond, perhaps because we are at great ease with one another, but mostly because you know the other person knows what it is to live with dementia, not questions necessary. Many people doing advocacy work on their own have now joined to work together with other DAI members. 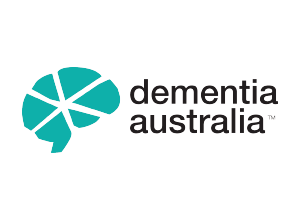 Through strong advocacy, we have collaborated with ADI, and are now the peak body globally representing people with dementia. Whilst we are an advocacy and support group, of, by and for people with dementia, with no ongoing funding, and some voluntary administration and other support, we still need to work towards finding regular funding, and finding volunteers willing to support our work. 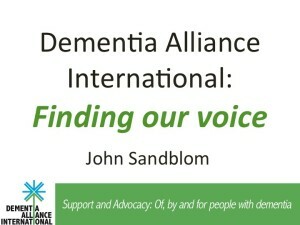 All organisations require funding and manpower support, and Dementia Alliance International is no different. We speak up for full inclusion and a place at every international dementia table… Nothing about is without us. In finding our voices, we are continuing with the mission of DASNI and The Scottish Dementia Working Group, whose mantra was NOTHING ABOUT US WITHOUT US: Full inclusion will help to improve the lives of people with dementia, and reduce stigma, discrimination and isolation. Like everyone else, we make mistakes and we may not be able to function at the same level as people without dementia, however that is no reason to no include us. We need to be allowed to fail, just like everyone else. By not including us, the stigma, discrimination, prejudice, myths of dementia and isolation are being exacerbated by the organisations, researchers and service providers purporting to improve our lives or advocate for us. NOTHING ABOUT US WITHOUT US will ultimately mean full inclusion will help to improve the lives of people with dementia, and reduce stigma, discrimination, isolation and other negative experiences of dementia. Collaboration is the key to our continuing success. Living better with dementia… It is possible. But the attitudes of, and support from researchers and health care professionals need to change on this. You can all sign up to receive our weekly blogs when they are published by clicking on the BLUE button on the left had side of the website.